Remember to register at Smith's and Lee's Market to help Lomond View. Pay school lunch fees online at the MyWeber portal. There has been a change in the website for paying school lunch online. You may now pay for your student's lunch online with your credit card. The service is easy to use, convenient, private, and secure. You will need to open a myWeber account. After you log in look for the Pay Fees link on the right hand side of the screen. We also now accept credit cards at the school. Go to the office, and the secretary can take your payment. Here's your chance to support a local elementary school without spending a dime. Target has set out to donate $5 million through their #ThanksABillion campaign. Every time someone creates a Facebook post thanking a teacher through the #ThanksABillion site, Target will give $25 to that school (up to $25,000 per school). #ThanksABillion [school name] teachers for changing lives. Shout out to [teacher name] for [message]! From a local [#readingpartner/parent/#volunteer/etc]. Create your #ThanksABillion message now. Let's make this campaign go viral for our schools! Find a Reading Partners school near you. Be sure to visit the Safety Information page for new procedures. Lomond View Elementary is located in the heart of Pleasant View, Utah on the benches of the majestic Ben Lomond Peak. Lomond View is enthusiastic about student achievement because of the efforts of its approximately 600 students, 1,300+ parents & grandparents, 25 teachers and 18 support staff. This dedication is manifest in our performance in the top 10% of Weber School District on CRT, and other benchmark testing. Services provided include complete regular and resource education courses, counseling, and speech therapy. Occupational and physical therapy are provided on an as-needed basis. Breakfast and lunch are served each day school is in session. As home of the Lions, we take pride in providing a safe learning environment where we help each other succeed, and consistently improve ourselves. 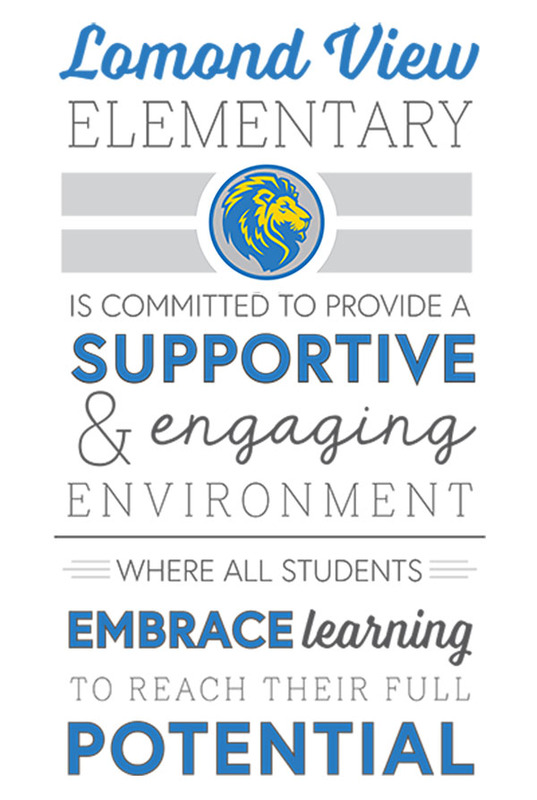 The Lomond View Lions are a proud part of the Weber School District. A few of the great opportunities students can choose to participate in include: Orchestra, Choir, Science Club, Lego Robotics Club, Math & Science Olympiad, Iron Kid competition, Chess Club, multiple service projects, and the Newbery Bingo Challenge. Lomond View Elementary is committed to staying current on technology and best teaching practices. This year we added 10 iPads per grade for student use, and staff members participated in over 1,400 combined hours of professional development. The school was originally constructed in 1959. Six additional classrooms and an enclosed ramp connecting the upper and lower concourses were added in 1967. In 1985, extensive modifications were made including the addition of a large gymnasium and storage areas, four new classrooms, a new media center, and an enlarged kitchen space. Spring of 2011 brought a new coat of paint and updated floor coverings to most of the common areas of the school and the upper concourse classrooms. The PTA recently added a new electronic marquee to better help the school inform our clientele of important events. © 2016 Lomond View Elementary. All Rights Reserved.